The DRC is committed to bridging academic disciplines that inform our practice by collaborating with UF faculty. 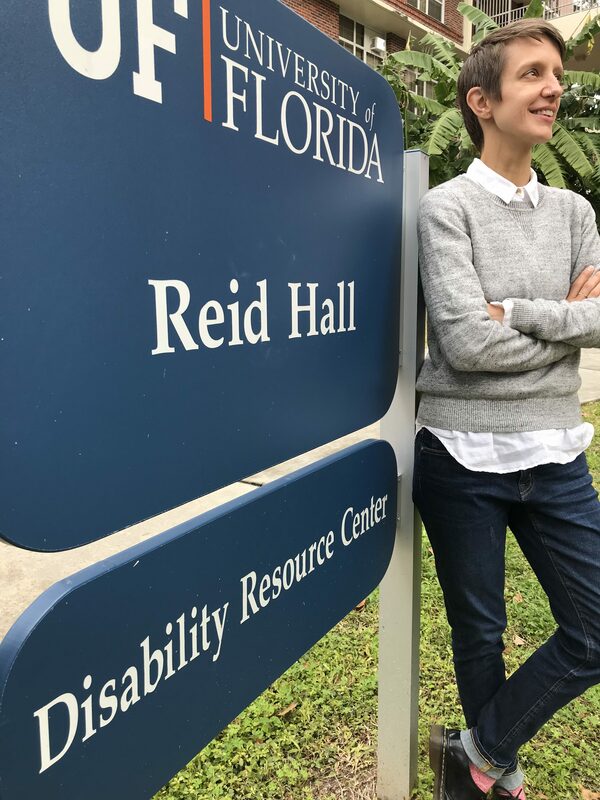 Each year the DRC will partner with a UF Faculty who prompts us to expand how we typically conceptualize disability. If you are UF Faculty interested in becoming a future DRC Faculty Fellow or if you are interested in attending our lectures and will need accommodations in order to participate, please contact Beth Roland at broland@ufsa.ufl.edu. Heather Vrana (Ph.D. Indiana University, 2013) is Assistant Professor of Modern Latin America in the Department of History at the University of Florida. Prof. Vrana’s research focuses on disability, human rights, photography, youth, and student movements in Guatemala, Nicaragua, and El Salvador. From observation and the paradoxical ubiquity/invisibility of disabled people, emerged Prof. Vrana’s current research project, Disability and the Making of Modern Central America. Recently, Prof. Vrana’s research received support from the Social Science and Humanities Research Council of Canada, Andrew W. Mellon Foundation, University of Florida Humanities Enhancement Fund, University of Florida Global Fellows, and Connecticut State University Board of Regents. Dr. Vrana will host two lectures sharing insights on their historical research as well as educating the campus community on the field of disability studies. We invite all UF students, staff and faculty to attend. A historical approach to disability inquiry.